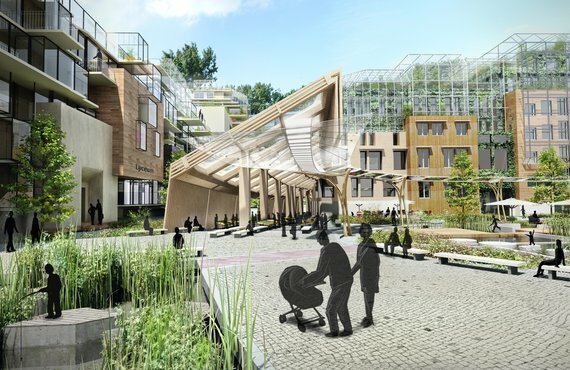 Except develops designs and concepts for sustainable cities. With our multi-disciplinary team, we blend economic, cultural, and environmental aspects into the sustainable urban areas of the future. 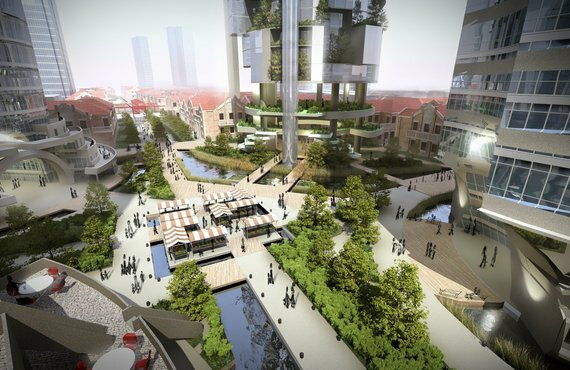 Smart cities, sustainable cities, green cities... it's the talk of the town. 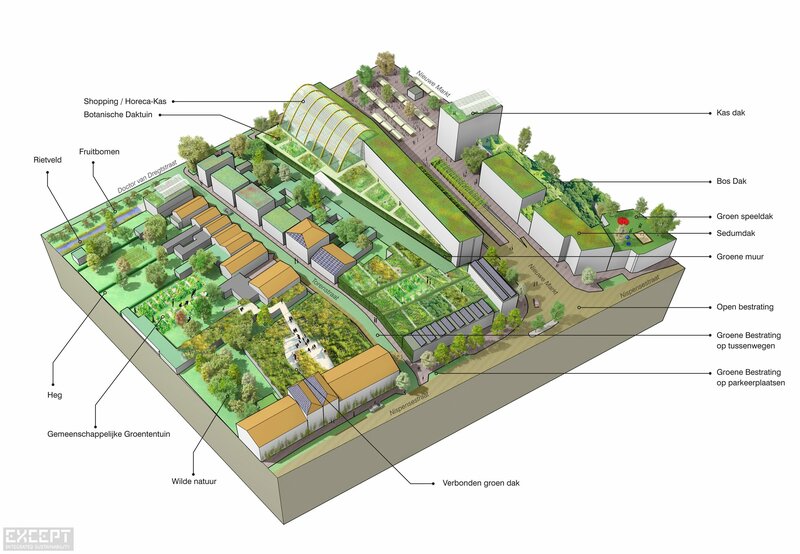 But who knows how to develop, design and organize the processes necessary to move towards truly sustainable cities? This is what Except started doing in 1999, and continues to innovate and work on. We approach these complex questions by putting the gadgets and fancy design aside for a bit, and analysing the clockwork of the city, understanding what makes it tick, grow and thrive. Our scientists, economists, ecologists, architects and urbanists analyze each location, find out its specific nature, and make sure that with every move that's made the city gets better, fundamentally. After we know what'll make it work, we develop what is necessary to make it work: attract new business, redevelop buildings, public spaces, waste, water, food or social development. We'll choose what's the best direction for each area, rather than what's trending. And we'll make sure it has timeless design, to create long lasting value and enthuse residents, business, investors and policy makers alike. We work on long term development strategies rather than single efforts that get lost in the whole. We feel the necessity to involve the local population, and put them in the driving seat, providing them with all intelligence and tools needed to make these decisions. 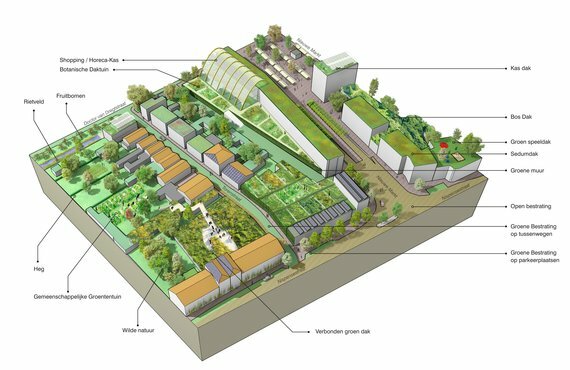 This is how we feel a city develops: with, by and for its inhabitants, using ecology as a main driver, economy as an opportunity and beauty and safety as necessary edge conditions. The city needs ecology to exist, and economy to thrive. Without nature, the city becomes a dead object, continuously demanding inputs, expenses and with decreasing health and living quality. 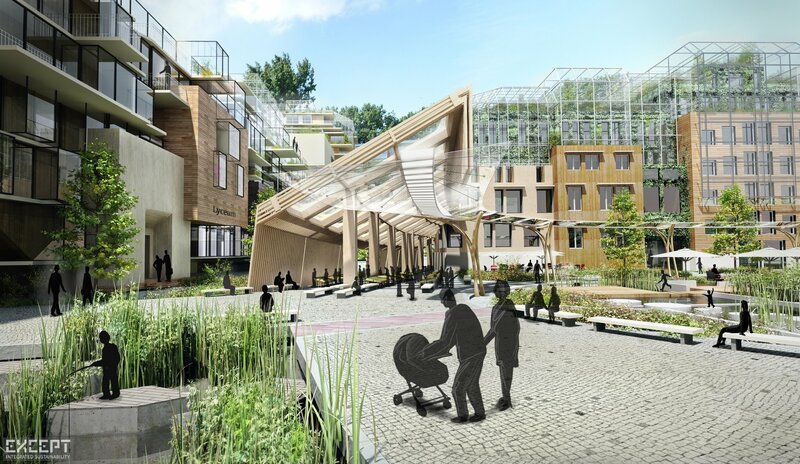 Using nature as a positive and powerful driver for urban development is a given for us. It's the foundation we stand on, and which we work on for over a decade. With it, we include people, and with them, find smart and resilient ways to boost local economies. We believe that strong and flourishing communities can be created using these principles, and we've shown it can be done. Except’s urban design work looks at the city as a symphony. Just as in music, it’s not just about the notes but just as much about the pauses in between the notes that create the music. 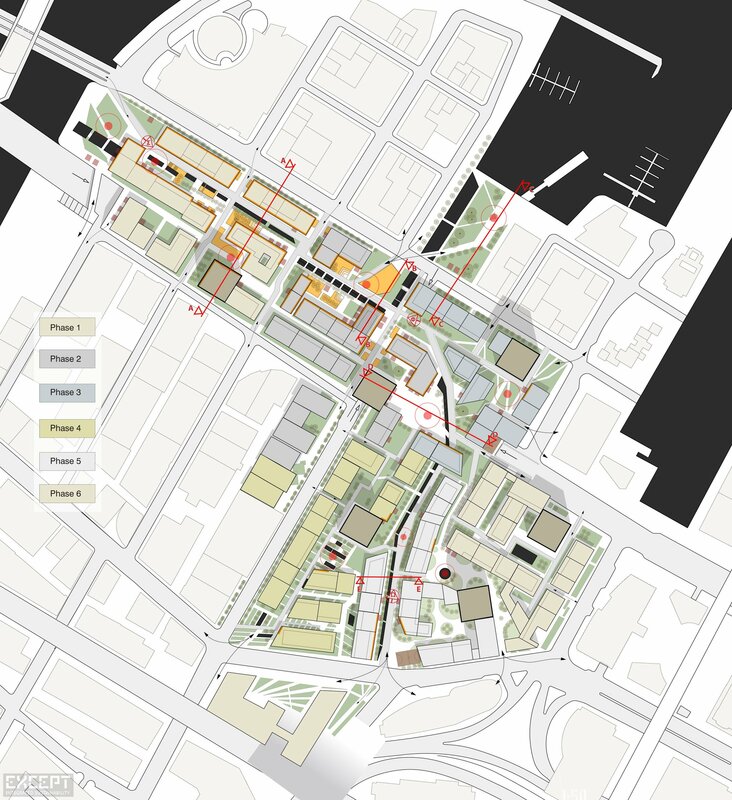 Urban design orchestrates the city, weaves space, function, nature, and society in an intricate tapestry. Our cities are under increasing scrutiny regarding their environmental impact. Except weaves an urban tapestry that is self-supporting, resilient, and sustainable in the long-term, answering local and national governments’ questions on how to proceed towards sustainable urban development. 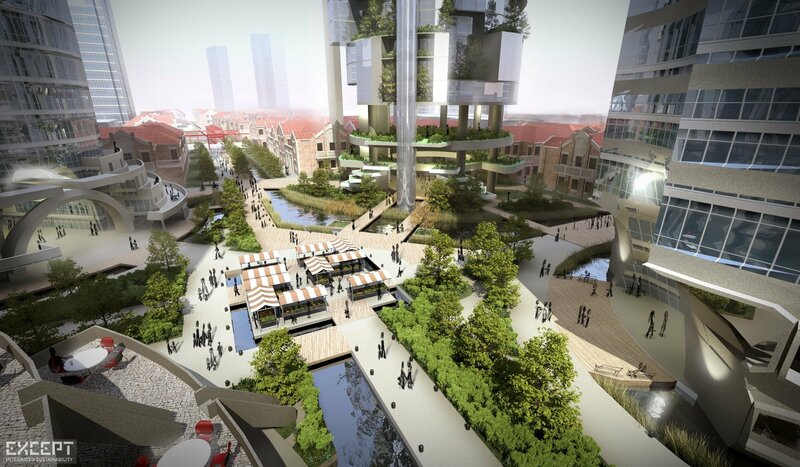 Shanghai Urban Masterplan interweaving residential, commercial, utilities & agriculture. 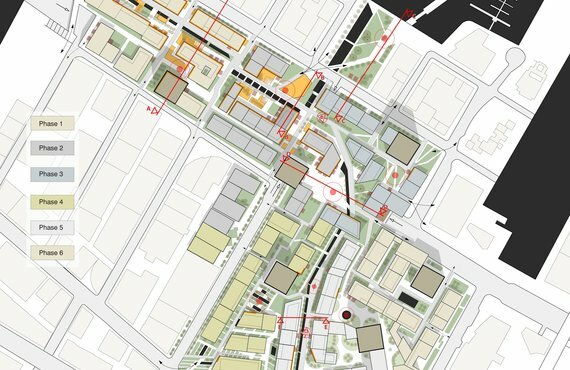 Compact cities with mixed uses and flexible structures make a lively, thriving city.